You may also need to calculate total cost based on unit cost and the number of items when you are ordering several items of the same kind. The cost per unit is derived from the variable costs and fixed costs incurred by a production process, divided by the number of units produced. Variable costs, such as direct materials, very roughly in proportion to the number of units produced, though this cost should decline somewhat as unit volumes increase, due to greater purchasing discounts. (Total fixed costs + Total variable costs) ÷ Total units produced. 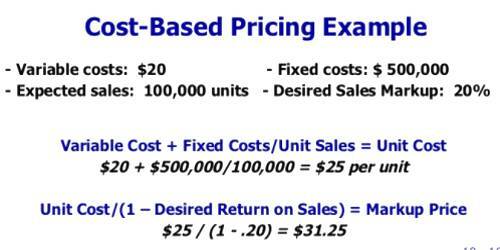 The cost per unit should decline as the number of units produced increases, primarily because the total fixed costs will be spread over a larger number of units (subject to the step costing issue noted above). Thus, the cost per unit is not constant. 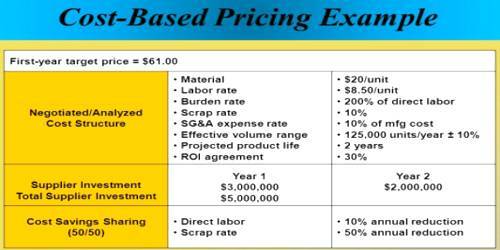 ($30,000 Fixed costs + $25,000 variable costs) ÷ 5,000 units = $11/unit. When figuring your total costs, including both your fixed costs and your variable costs. Fixed costs include ones that don’t change based on the number of units you make, such as rent or property taxes. Variable costs do change based on how much you produce, such as the cost for the raw materials you use, machinery that needs to be replaced after making a certain number of units and the wages for your employees.